I am pleased to announce new reprints of five works that should never have gone out of print in the first place. All are available from Amazon sites; the titles below give the hyperlinks. Robert Hugh Benson. The King’s Achievement. New York: P. J. Kenedy & Sons, 1957. Repr. Os Justi Press, 2018. xiv + 368 pp. Paperback, $16.95. Robert Hugh Benson. By What Authority? New York: P. J. Kenedy & Sons, 1957. Repr. Os Justi Press, 2018. x + 372 pp. Paperback, $16.95. I will start with my two all-time favorite historical novels, both by Robert Hugh Benson: The King’s Achievement, set in the times of Henry VIII, St Thomas More, St John Fisher, and the dissolution of the English monasteries, and By What Authority?, set in the reign of Queen Elizabeth and St Edmund Campion. The words "suspenseful, poignant, lyrical, brutal, and triumphant" come to mind in describing this pair of novels, in which Benson vividly depicted a world vexed and torn by religious debates, intrigues, and violence. Indeed, the author, who profoundly researched the Reformation period and, although the son of the Anglican Archbishop of Canterbury, ended up converting to Roman Catholicism, knew what he was talking about both historically and personally. He writes with remarkable psychological penetration into the motives, the good and bad will, found on all sides, and convincingly portrays holiness, indifference, ambition, and evil. I found these novels illuminating about our contemporary situation, as well, since the Catholic Faith and fallen human nature never change. One of the most coldly calculated acts of Henry VIII during the Reformations was the dissolution of the monasteries. Monks and nuns were driven from their cloisters; the abbeys were plundered and turned over to greedy courtiers. From these ignoble proceedings came Robert Hugh Benson's inspiration for this great historical novel, the story of a house divided against itself. The Torridon brothers are sworn to serve different masters; one is a monk, in love with the Mass and the Faith of Ages, the other an agent of Thomas Cromwell, in love with a protege of Sir Thomas More. Among the giant figures who move through the tale are those of St John Fisher and St Thomas More, the ruthless King Henry VIII, and the grasping Cromwell and Cranmer. Their actual deeds are carefully woven onto this harrowingly romantic tale of the attempted destruction and resilience of the Catholic Faith in England. The fates of two young people caught in a conflict of ideals is the theme of this stirring and tragic novel, set in the England of Elizabeth I. At a time when to follow the Old Religion meant at the least heavy fines and at the worst death, Puritan-bred Anthony and Isabel Norris find themselves drawn to the Church of their forefathers. Monsignor Benson has peopled his story with characters who, while remaining staunchly themselves, nonetheless illustrate the tensions of the time: low intriguers, valiant men and women, heroic figures such as Edmund Campion and the inscrutable Queen Elizabeth. In a story which delves into the deepest reaches of the Catholic and Anglican dilemma, Benson's own life struggles shine forth, ultimately finding their solution in the "One, Holy, Catholic, and Apostolic Church." Canon A. Croegaert, The Mass: A Liturgical Commentary. Vol. 1: The Mass of the Catechumens. Trans. J. Holland Smith. Westminster, Maryland: The Newman Press, 1958. x + 251 pp. Paperback, $17.95. Canon A. Croegaert, The Mass: A Liturgical Commentary. Vol. 2: The Mass of the Faithful. Trans. J. Holland Smith. Westminster, Maryland: The Newman Press, 1959. x + 311 pp. Paperback, $18.95. This pair of volumes, conveniently divided between the two parts of the Mass, is a testimony to the discriminating historical sense, robust theology, and fervent spirituality of the original Liturgical Movement in its healthy phase, and a melancholy reminder of what intelligent and sympathetic appreciation of Catholic tradition looked like on the eve of the Pauline revolution, before that tradition was swept away. 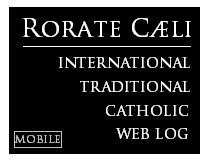 Now that the genuine Mass of the Roman Rite is returning to so many places, it is time that resources like these should be available again, not only for theoretical purposes but for a living and practical knowledge of the traditional rites of our religion, on the part of clergy who celebrate them, religious who live from them, and laity who assist at them. Many priests express a desire for a deeper knowledge of the meaning and history of the rites and prayers of the holy sacrifice they celebrate every day, but have neither the leisure for research nor the sources, which are scattered through a great number of books, pamphlets and reviews. It has been our aim to provide a methodical and practical book for the clergy — one which will be useful both for their own instruction and in their apostolate. The order of the parts of the traditional Latin Mass has been followed throughout and each of the ceremonies is described separately. Each of the chapters provides a general introduction to its subject, a summary of the history of its origins and development and a description (where applicable) of the rite itself. The emphasis throughout is on the practical: on doctrine, history, liturgy and ascetic theology. Two short quotations from the work: "The Mass is the sacrifice of redemption itself, set before men, and made present in the midst of them, with all its power of glorification in honour of the Holy Trinity, with all its power of life and sanctification for us." 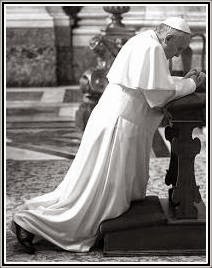 And: "Christ has ordered the adoration of the Father by the Church in a definite pattern — through the sacrifice of the Mass and the sacraments, the rites and ceremonies of which have been defined in every detail by the Church." Rev. Pierre Chaignon, SJ. The Sacrifice of the Mass Worthily Celebrated. Trans. Most Rev. Louis de Goesbriand. With a preface and meditation aids by Dom Bede Babo, OSB. New York: Benziger Brothers, 1951. Repr. Os Justi Press, 2018. x + 214 pp. Paperback, $14.95. This work is a translation (by the late bishop of Burlington, Vermont, no less) of a work originally composed in the 19th century by a Jesuit who specialized in the spiritual direction of priests. The book belongs to that wonderful genre, alas nearly gone extinct after the asteroid impact of the Council, of liturgical spiritual reading for clergy to aid them in offering the holy mysteries digne, attente, devote (worthily, attentively, devoutly). Very much has been written in more recent times about the Mass and the cooperation of the laity in it; comparatively little, however, has been written concerning the attitude of the priest towards this Holy Sacrifice. And yet, if St. Thomas Aquinas is right to say “every time we celebrate the memory of his Host, we exercise the work of our redemption” (Summa III.83.1), then so mighty a work requires the best preparation. Father Pierre Chaignon, S.J. (1791–1883) was a French Jesuit priest and spiritual writer who devoted his life to the spiritual direction of other priests, giving an estimated three hundred retreats to French clergy over the course of thirty years. His deep love for the clergy and his concern for their sanctification shines forth in this beautiful book, which helps the priest to prepare well for Mass, celebrate it well, and then make a good thanksgiving afterwards. To stress the importance of his theme, “the worthy celebration of Mass by the priest,” the author incorporates in his work the mind of St. Thomas Aquinas, the fervor of St. Alphonsus de Liguori, the spirit of St. Charles Borromeo, and the zeal of St. Ignatius. Since its appearance, this work has been found very serviceable for meditation and spiritual reading. Father Chaignon’s clarity of thought and exactness of reasoning make the book well adapted to modern conditions under which priests also find themselves compelled to do things in a hurry. Fr. William Doyle, SJ. Vocations. First published in 1913. Many editions in Ireland and beyond. Repr. Os Justi Press, 2018. vi + 48. Paperback, $7.00. This gem from 1913, written by the lovable and heroic Fr. Willie Doyle who has been receiving a great deal more attention in recent years (including being the subject of a docudrama at EWTN), became an instant bestseller when it was first released, and was sold in the hundreds of thousands, in at least ten languages. Scores of clergy and religious told Fr Doyle later on that it was instrumental in awakening them to their vocations. I am not at all surprised, as it is probably the most clear-talking, inspiring, inviting, and positive booklet about priestly and religious vocations ever written. In a letter to his father in 1917, shortly before his death on the battlefield as a World War I chaplain, Fr. Willie wrote: "After my ordination ... I was struck by the fact that there was nothing one could put into the hands of boys and girls to help them to a decision except ponderous volumes, which they could scarcely read." This little booklet is different: it gets right to the point, basing itself squarely on the sayings of Our Lord and the examples of His saints. Some of the chapters include "What is a vocation?," "Signs of a vocation," "Motives for entering religion [i.e., religious life]," "Trying a vocation," "Importance of following a vocation," "Opposition," "Objections," "Advantages of religious life." If you are discerning a vocation; if you know people who are; if you are a parent who hopes and prays for vocations; if you are a priest or religious encouraging vocations; if you are working with children or young adults and are looking for good reading to give to them — I strongly encourage you to pick up a copy of this, give it a read, and see what you think. Fr. Willie's powerful little book (less than 50 pages) deserves to reach a great readership.